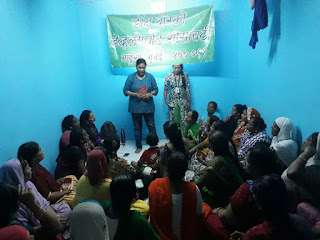 Mumbai, 14-August-2017: The Don Bosco Development Society (DBDS), Mumbai organized an awareness training programme on ‘Right to Food’ at Koyala Galli in the Antop hill slum. 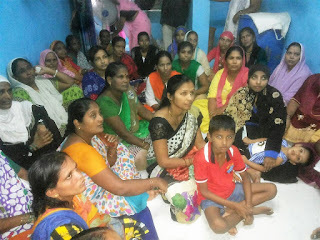 More than 56 women participated in this programme. Ms. Surekha Pednekar (Programme Coordinator - DBDS) was the resource person for the workshop. She disbursed information on type of Ration cards and what are the benefits that can be availed through these different cards. The main objective of this programme was to create awareness on Food Security Act. Through this workshop DBDS made it clear to the participants the rights that they have according to the Food Security Act. There were number of queries raised by the participants which were answered satisfactorily. 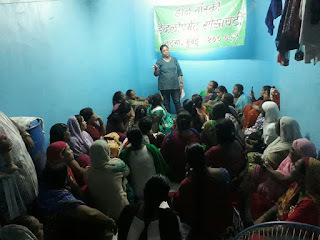 As a practical resolution from this event – the women have decided to lodge complaints at the local ration shop on 17-August; against the violation of their rights according to the food security act. The program ended with Miss Anita (Field Staff - DBDS) proposing the vote of thanks. 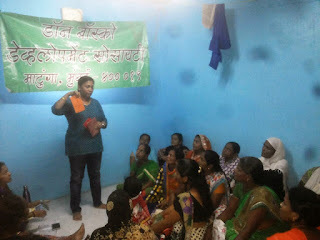 The women went back enlightened and happy about the programme held.